Shattered Beginnings: Writing's on the.. Iron Wall? Writing's on the.. Iron Wall? SO, now that I've taken the initial steps and once again put the digital pen-to-paper, I couldn't think of a better place to start than some good old expansion talk. 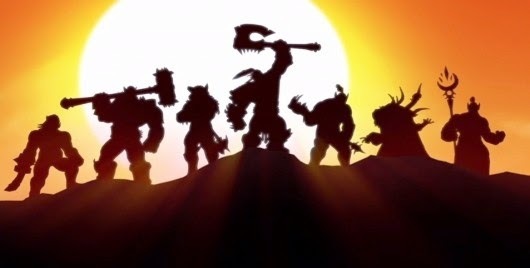 *Warlords of Draenor* (said in the style of Chris Metzen). The majority of us have soaked up every drop of information that Blizzard has released, been datamined or lea.. and are all aboard the hype train once again for the big November launch date. Mean, even through a dry spell of on/off playing, I was watching Blizzcon religiously and always will for the sheer entertainment value alone. But now I have resubbed, again, with high hopes for this.. THE expansion. 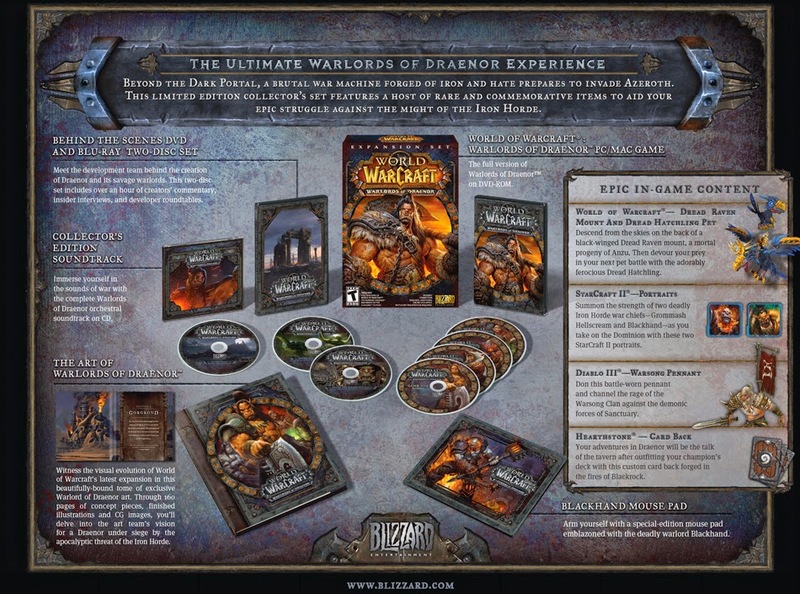 In my eyes, I think this is the expansion to make or break the World of Warcraft. Or at least, a last attempt to 'bring the magic back'. And so far, in Blizzards usual manner which they've mastered, I'm hooked. But what do I mean by magic? I'm can't exactly put a finger on it, as it's more of a feeling. You could tell me to take off the rose tinted glasses. However I know what I currently dislike in the game and what I am looking forward to. Firstly the removal of particular stats and 'mandatory' chores such as reforging. I know for a fact there are some out there who are overly against these changes, but I honestly see them as the right move. Why? Well, why is it that I no longer feel excited about a new gear drop. The same reason why I can't equip it straight away, despite it being a clear upgrade. I have to go through the mandatory reforging, re-gemming and enchanting process on my entire gear set (at least to remain effective, let alone optimal). What makes matters worse, is that it's not 'customization'. Customization would make it something unique to my own choosing. But no, to be able to play an effective role, there is a set way it all has to be done. Cookie Cutter. That's not customisation. I'd rather meaningful choices, which won't make me sub-optimal for veering off the 'best way'. I understand that, at least in PVE and in scripted fights, there will always be an element of the cookie cutter build. But what is the point in all the options if in reality, to play in a somewhat plausible manner, only one is viable. I'm always up for a bit of theorycrafting, but not when it all ends up determining the set and only accepted way to play. I could go on, but all in all I really hope that come X-pack time the magic of Warcraft can be restored, or at least a new excitements found. I know it will never be how I envision it in my nostalgic mind, but I hope that some of the epic goodness will come back to me and anyone else with fingers crossed! And as it goes..
How many Vanilla players does it take to change a light bulb? None, they just sit around and talk about how good the old one was. What are your hopes for the new expansion? Any EU Guilds out there have room amongst their ranks for another?! NECRO: Re-igniting the writing machine!